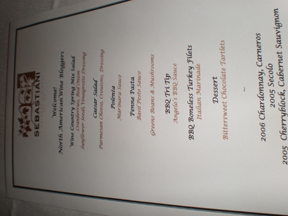 Tonight after work Megan and I are heading out for Taste Camp East 2009 in Long Island New York. We’ll be driving half way late this evening so we don’t have to deal with the DC/Maryland traffic at 6:00 am tomorrow. “The concept for TasteCamp is a simple one: getting enthusiastic bloggers together in a region that is new to them to taste as much wine as possible and speak to as many winemakers as possible over the course of a weekend. 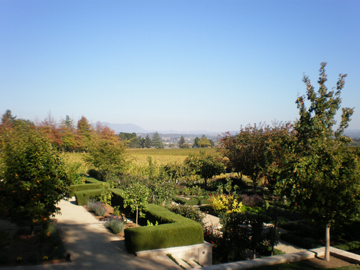 Most smaller, lesser-known wine regions in the world would love to get their wines in front of bloggers, but with TasteCamp, the bloggers will go to them. 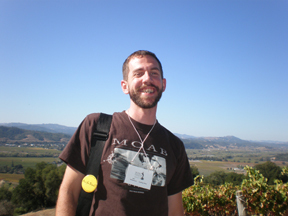 I am uber excited to see my wine blogger friends that I connected with and met for the first time at the Wine Bloggers Conference last year in Santa Rosa, CA. Additionally I am really excited to taste and explore the wines from a region that doesn’t get much if any exposure in the Richmond wine market. 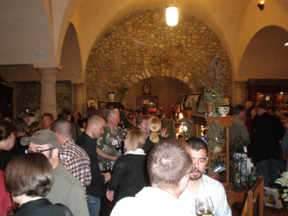 The conference starts Friday night at Raphael Winery and will continue through midday on Sunday the 3rd. In between we will be visiting a slew of Long Island wineries as well as some tasting with the Long Island Wine Council and the Long Island Merlot Alliance. 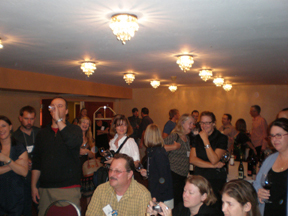 I’ll be trying to blog and tweet as much as possible from the event so check back often for updates from Taste Camp East 2009. 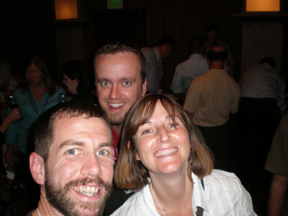 Wine Bloggers Conference 2008 – 3 of my favorites! This time last week I was on my way to San Francisco International airport en route back to Washington DC. 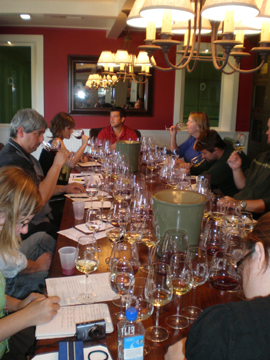 Wow, I can’t believe the first North American Wine Bloggers Conference has already come and gone. 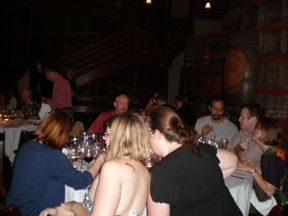 Over 170 wine bloggers and industry professionals converging on Santa Rosa California for 3 days made me realize how big wine blogging has become. We are actually having an impact on the wine community at large, and that in itself is quite amazing. 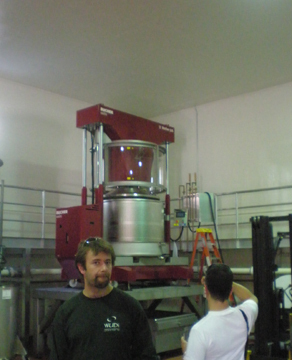 Philip Staehle winemaker and owner of Enikdu was on hand to pour his 2006 Odyssey Russian River Syrah. It had a great nose of fresh peppercorn, blackberry and earth with flavors of black currant jam, black cherry and olive tapanade. Inky color, full body and leathery tannins helped this to make it my favorite Syrah of the weekend. During the self serve tasting this wine definitely rose to the top of 100 plus wines that were there and it was the 2007 Kemblefield The Distinction Gewürztraminer Hawkes Bay ($14.99). The wine was a classic example of the varietal with an abundance of rose aromas on the nose with accents of lychee and tangerine. On the palate I was greeted with apricot, undistinguishable floral notes and a hint of lime. Mouthfeel components were a great combination of medium acidity and viscosity that made for a pleasing multi-layered experience. Lisa Ciolino the winemaker was on hand to pour the 2005 MonteMaggiore Nobile ($45) a blend of 70% Cabernet Sauvignon and 30% Syrah. The aroma was full of concentrated raspberry, blackberry and sautéed veggies with hints of leather and grilled meat. The flavor profile was dominated by black currant and sweet cedar with just a touch of green olive. The aroma and flavors were highlighted by the round full body and smooth lush tannins. I wish I couldn’t have gotten more of this wine. I enjoyed many more than these 3 wines but they were definitely my favorite from these 3 tasting events. 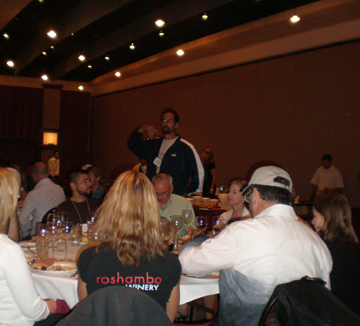 Keep checking back for more wines reviewed from some of the non WBC events that I attended. When I started my blog a few years ago, I never really thought about credibility. I figured I was just writing, putting my thoughts and opinions out there for the world to look at and take for whatever they’re worth. Isn’t that enough? 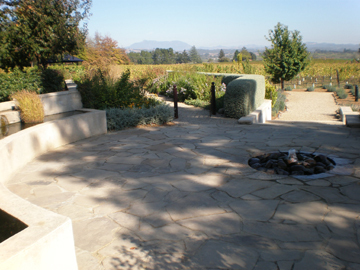 After attending the Wine Bloggers Conference on credibility headlined by Steve Heimoff and Tracy Rickman I am not so sure anymore. Michael Wangbickler of Cavemanwines.com taped the whole session and can be seen here. I would say that “most” wine bloggers get their start in the blogosphere out of pure hobby, as an outlet for an obvious passion about some topic, in my case wine. Writing daily musings about tastings, local happenings and tasting notes about the bottle of wine they had last night with dinner. At this stage do you need to think about credibility if you are just writing your opinion, in a glorified version of a digital diary? I never thought so! But what about when you start to receive emails from wineries and wine clubs and public relations departments, wanting you to review their wine on your blog. Is this the tipping point? At this moment should you start to consider yourself credible in the wine world? I don’t really know, as I said I never really thought about the issue. I figured that if a winery wanted to send me wine, they obviously read my blog and think I know or at least I sound like I know what I am talking about. A good portion of the banter in the credibility seminar circled around responsible wine blogging and what defines credibility in the wine world. If you receive wine for a sample and you review that wine on your blog without a disclaimer that you received it for free, is that irresponsible and dare I say unethical? For myself I always post when I get a bottle of wine as a media sample, and others just explain so in the “about” section of their blog. But what if they do none of the above, is that wrong, or does that take away their credibility? 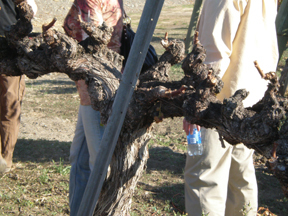 Defining credibility in the emerging wine blogosphere seemed to be a touchy subject as well. In my day job, credibility is defined by how many letters you have behind your name on your business card. (MS, PhD, etc.) 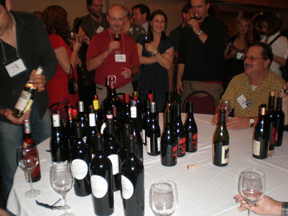 A few things were thrown out as possible ways to judge credibility for a wine blog, such as readership, number of posts, or logarithms calculating the effect of a post on wine sales. But no one could really settle on what if any of the above really defined the whole story of blog credibility. The best part and the scary part about a blog, wine or other topic, is that anybody can start one. 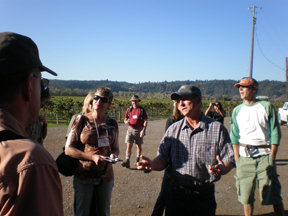 It is up to the reader, whether it be my mom or a winery owner, to decide if I am the right outlet to talk about their product in the public domain. Just my rambling 2 cents! The 3rd and final day of the conference started by me waking to the sound of a text message from Lenn asking if I was ready to go get breakfast. Thankfully he sent the text because I was out for the count and may have missed the last part of the conference. 🙂 I met up with Lenn at Hanks Creekside, right across the street from the Flamingo Resort. A very nice, small diner that served a mean veggie omlet and hashbrowns. I will also admit that, even though I am a vegetarian, Lenn’s applewood chicken smoked sausage smelled and looked pretty good. 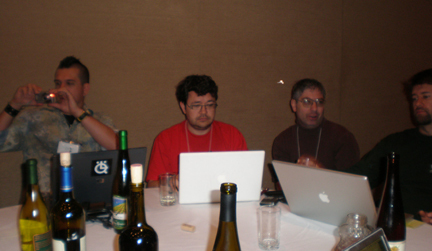 First on the agenda was the unconference – which is a conference session in which the participants set the topics for discussion and form small groups to discuss each one. It was quite interesting and I think it turned out very well. The first two discussions I participated in were how Twitter is affecting comment traffic on blogs and the idea of negative reviews. Keep an eye for future posts looking at these two items. The 3rd session I attended was the “Organic Flow” topic chosen by Nick from Winescholarship.com, where having no topic at all stemmed a variety of discussions. 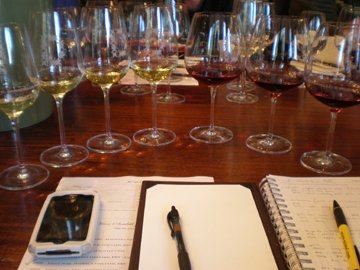 Plus, Lenn started popping the New York wine open so we were tasting by 10am. Go figure! 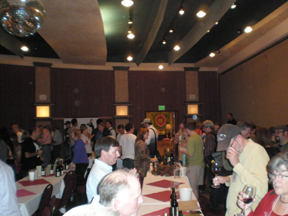 After the Unconference we had our final conference organized tasting and with some great Sonoma producers. Again the picture gnomes must have taken the shots that I took of that part of the tasting. After the tasting, we had our last lunch and the organizers each gave a nice little speech and big thank you to all that participated and setup the event. 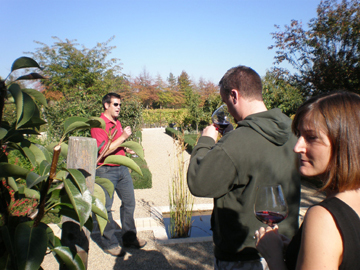 After the conference was over, a few of us were invited up to C. Donatiello winery outside of Healdsburg for a private tasting with the the proprietor Chris Donatiello. I will do a sepearate review on the wines in a separate post, but here are some of the beautiful pictures from the afternoon. After the tasting we headed to an early dinner and some beers with Patrick, Joe (and dudette and baby dude), Lenn, Becky, and Nick at Bear Republic Brewing. Then it was farwell to my conference friends and off to the airport. 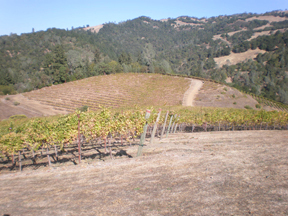 Saturday was day 2 of the Wine Bloggers Conference and started off with a beautiful hike in the Northern Alexander Valley. 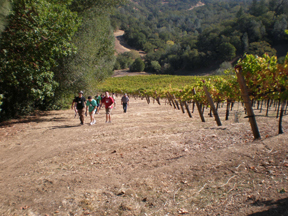 The hike started with a easy stroll through Rodney Strong vineyards where we tasted Muscat off the vine and was followed buy a beautiful but steep hike up their Rockaway vineyard. 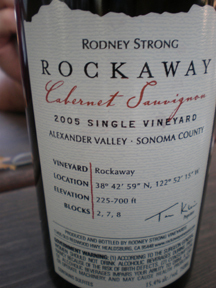 At the top we were treated with a delicious box lunch from Jimtown and wines from Rodney Strong included their famous Rockaway Cabernet. 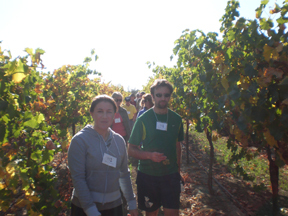 After our trip to Alexander Valley we headed back for the breakout sessions of the conference. I didn’t take any pictures during the sessions but make sure to look for my post on wine blogger credibility. 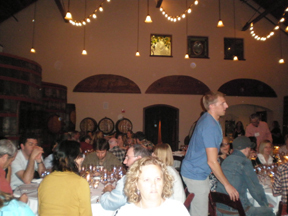 After the breakout sessions we were treated to a Grand Tasting of Sonoma wines. look at all those vegetarian options!! After dinner we poured ourselves onto the buses to head back to the Flamingo for another “after party” where Doug from Able Grape brought an amazing selection of his wines to share as well as El Jefe from Twisted Oak who brought the Skulls. I think it is safe to assume that another stellar day was had by all. Make sure to stay tuned to the action and for reports following the conference.